Rivals the likes of Skoda Octavia RS. 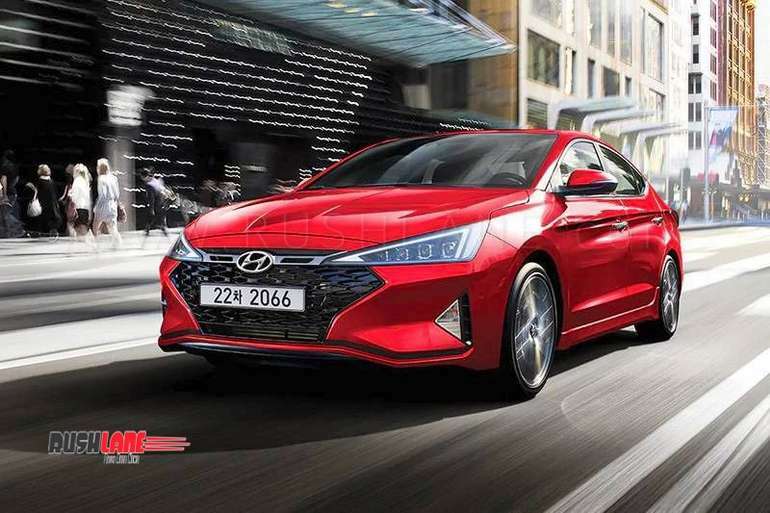 Facelifted 2019 Hyundai Elantra was launched in the United States around two months back, but the Elantra Sport variant is still awaited. 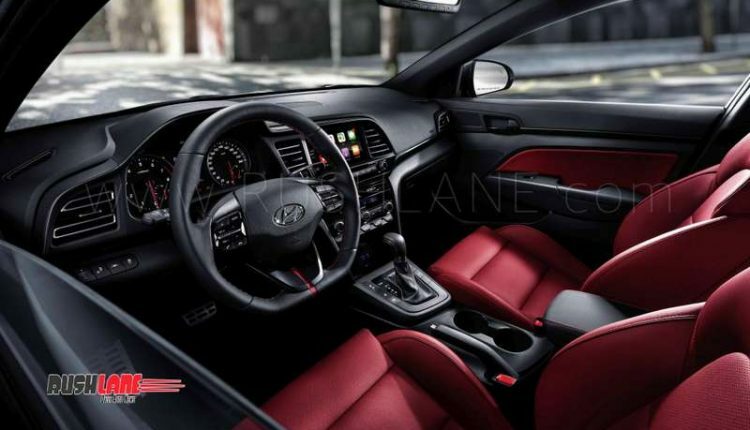 It is expected that range-topping Elantra Sport will be showcased during the upcoming Los Angeles Auto Show, which will begin later this month. However, there’s no need to wait that long to know the specs, as Avante Sport has made its debut in Korean market. Avante Sport is essentially the same as Elantra Sport, with the only difference that it’s called Avante Sport in Korea and Elantra Sport in US market. 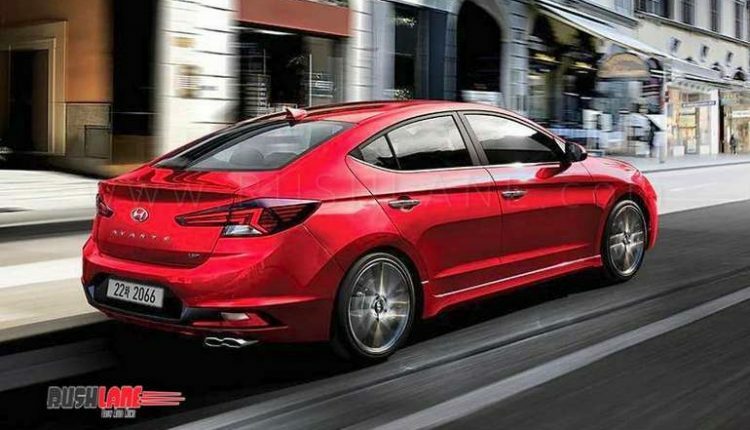 Powering Avante / Elantra Sport is a 1.6-litre 4-cylinder, turbocharged gasoline engine that makes 204 PS of max power and 265 Nm of max torque. It is the same engine that can be seen on 2020 Kia Forte GT, which was showcased recently. 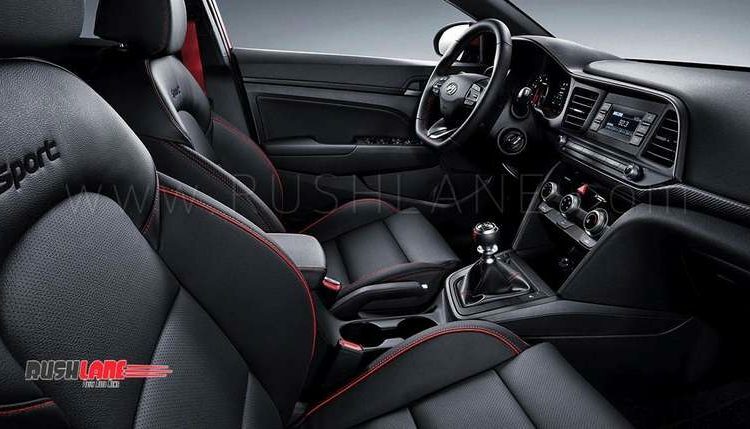 Engine is mated to either a 6-speed manual or a seven-speed dual-clutch automatic transmission (DCT). Korean Avante Sport also has powerful brakes and multi-link suspension at the rear, which improve driving experience. 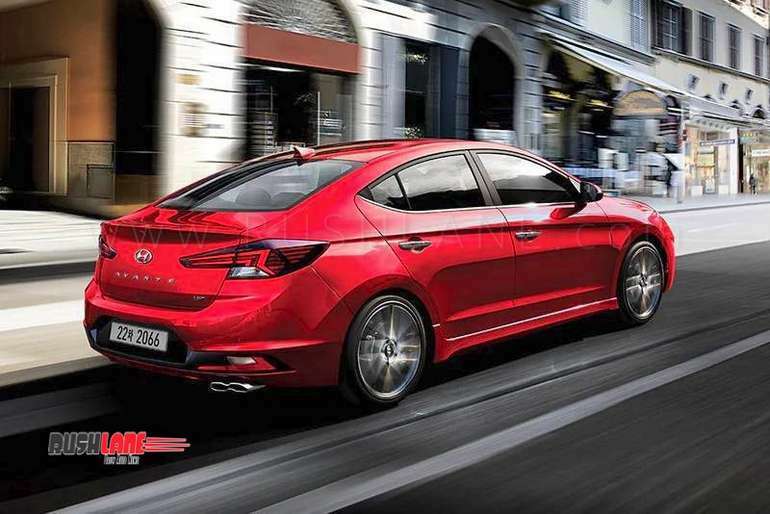 New Hyundai Elantra Sport has superior styling, as compared to regular variants. It makes a sporty stance with its attractive honeycomb mesh grille, prominent side skirts, boot lid spoiler, 18-inch alloy wheels, and twin sports muffler. 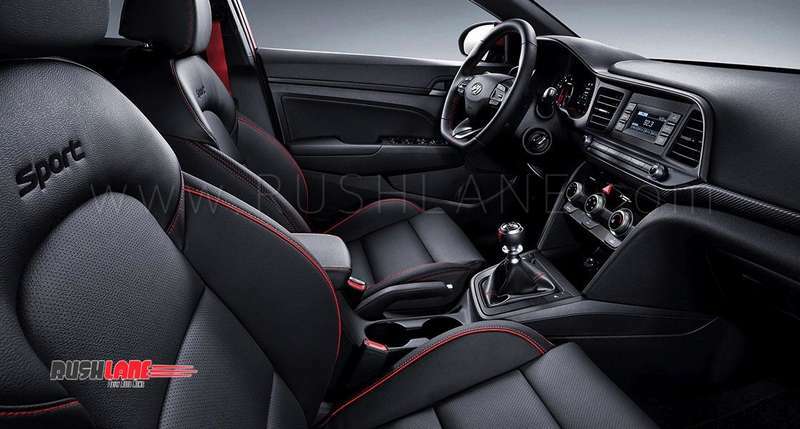 Interiors also feature a sporty theme with contrasting red and black leather upholstery, sophisticated instrument cluster and flat-bottomed steering wheel that comes with paddle shifters for the dual-clutch transmission. Other features that add to the car’s sporty makeover include carbon-inspired trim, metal scuff plates and aluminium pedals. 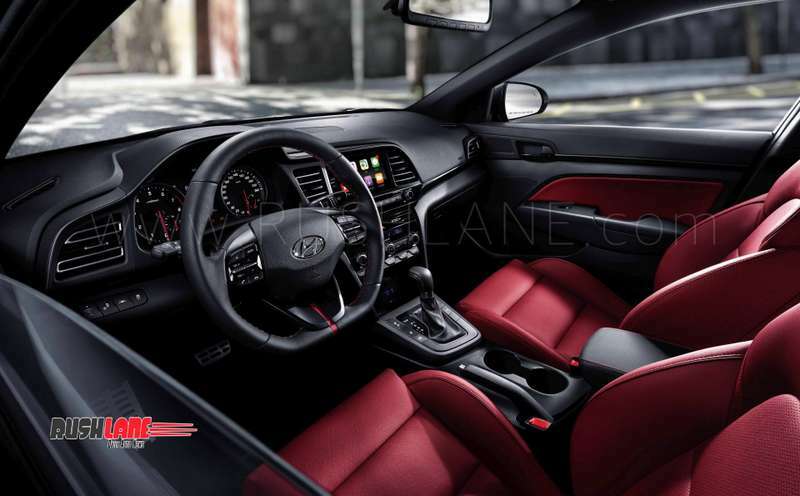 Performance specs of Elantra Sport have not been revealed, even though Hyundai has provided details about the car’s mileage. Equipped with DCT, Elantra Sport has a fuel consumption of 12 km/L, which is equivalent to 28.2 mpg US or 8.3 l/100 km. 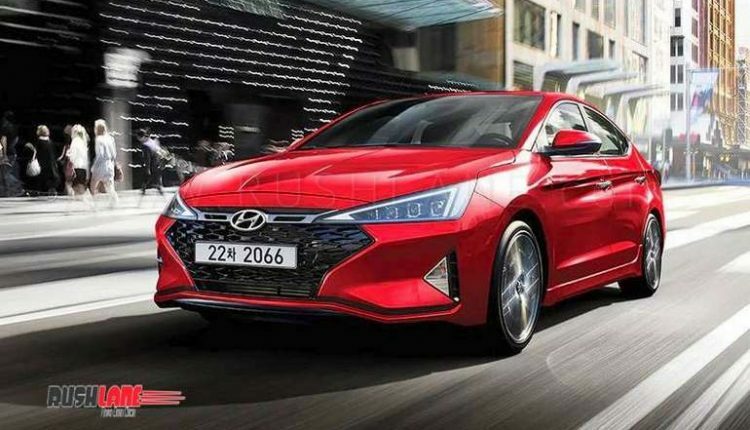 Expected to be unveiled later this month in United States, 2019 Hyundai Elantra Sport will have a price tag of $22,400 for manual variant and $23,500 for automatic variant, which is about Rs 16.2 lakhs to Rs 17 lakhs.